A guest article by Kevin Lane on Barry Ritholtz's blog outlined the wisdom of using stop losses and how good systems can be turned into great systems by the addition of a little downside protection. He further went on to describe how he used stop losses and point-n-figure charts for defining price targets. As for me here is how I employ stops. I used key technical levels or support and resistance. I typically don’t like fixed %’s as many times just normal trading volatility can take you out of the name only to watch the stock then proceed in the original direction you thought it would. So in my process before entering any trade I calculate what my upside price target would be for a stock (typically this is done by calculating a point and figure target and/or a valuation derived target). Once I formulate my target I then look to determine what my exit strategy (ie. stop out point) will be in the event I am wrong. Next I calculate what my % loss (draw down) would be. If the risk/reward ratio of the projected upside target relative to the drawdown point is greater than some ratio 2:1 or 3:1 for example then capital is deployed. As Kevin stated, discipline is important - sticking with your stops and keeping emotion out of your trades. 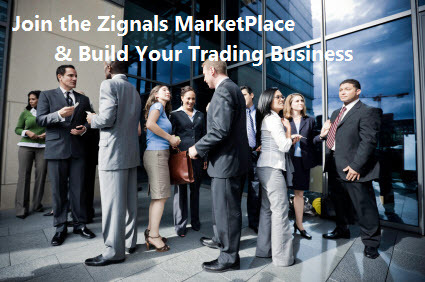 At Zignals we understand the importance of discipline and offer through our YourCall feature the ability of users to define their risk thresholds and potential reward for any stock, ETF or Forex trade. 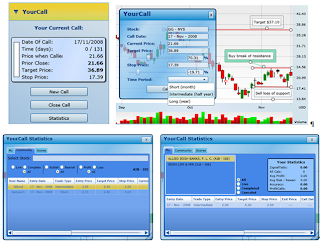 You can find YourCall as part of our Free Stock Charting service, available in the main menu bar or as a drop-down option in the left-hand slider panel. Within the YourCall Statistics you can view the risk:reward for each trade as it's automatically calculated for you, allowing you to quickly assess if the trade is worth taking or not. With our Free Securities Alerts monitoring you can create alerts which operate within a price range, fixed price, or relative price change. The price range alert is perhaps the easiest to use as it allows for two prices (stop and target) within the same alert. For a relative price change (%); seperate alerts need to be created for target and stops, but by creating a stocklist it is possible to have multiple stocks running off the two % change price alerts. With our upcoming Portfolio Manager it will be possible to combine a trade entry with an automatic alert for a stop and target price without having to switch services.